Former justice minister Irwin Cotler is calling for the immediate release of Canadian citizen Sun Qian, who has been illegally detained in Beijing for more than a year because she practises the traditional discipline of Falun Gong. “We call on the Chinese authorities to cease and desist from this arbitrary and illegal assault on Sun Qian’s rights and fundamental freedoms, to release her—and to permit her to be reunited with her family in Canada,” Cotler wrote in a statement. 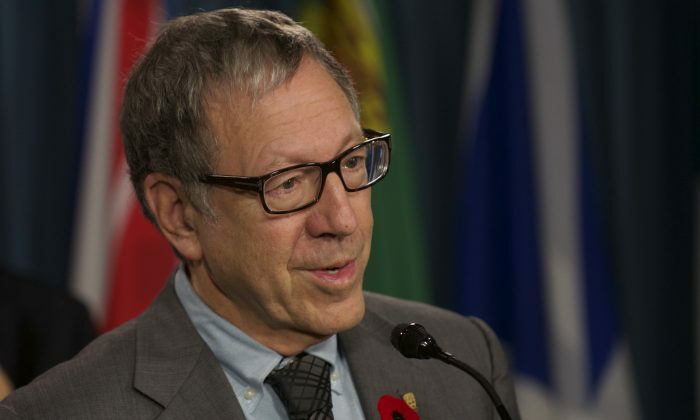 Cotler, a renowned international human rights lawyer, is acting pro bono on Sun’s behalf to seek her release. In the statement, he listed several ways in which the ongoing persecution of Falun Gong launched in 1999 by the Chinese communist regime criminalizes innocent people, including criminalization of the freedom of expression, assembly, and association; arbitrary arrest and illegal detention; torture; and denial of the right to a fair hearing. “Sun Qian is yet another case study of the persecution and prosecution of a Falun Gong practitioner—in this case also a Canadian citizen—and involving yet another tragic criminalization of innocence,” he said. A Chinese-Canadian businesswoman from Vancouver who became a citizen in 2007, Sun was detained by the authorities last February during a visit to China. She has since been held at the Beijing No. 1 Detention Centre, where she has suffered mistreatment and torture. She was also forced to undergo brainwashing sessions last month prior to a show trial scheduled to take place April 9. But that trial has now been postponed until sometime after May 1, Sun’s sister told The Epoch Times this week. Rallies were held across Canada last week to support Sun and urge Beijing to release her. Meanwhile, the Falun Dafa Association of Canada has written to Prime Minister Justin Trudeau seeking help to secure Sun’s release. “Ms. Sun is a Canadian citizen. She must not be subject to mental or physical torture,” association president Xun Li said in the letter. In December 2017, before Trudeau’s visit to Beijing, Sun’s lawyers wrote an open letter to Trudeau asking him to help bring about Sun’s release, stating that the arrests of Falun Gong practitioners in China violate Chinese law. By mid-March, the lawyers who signed the letter had quit Sun’s case due to pressure and intimidation from the authorities. The Justice Bureau attempted to appoint a lawyer for Sun before the April 9 trial, but then her family managed to find another lawyer, who is now preparing for her next trial. According to Teng Biao, a prominent Chinese lawyer and human rights defender currently living in the United States, trials for Falun Gong practitioners are usually show trials, and 90 percent of the lawyers appointed by the Justice Bureau simply plead guilty for the practitioners, while outside lawyers would defend them as not guilty. “For the cases for Falun Gong practitioners, the verdict is usually decided ahead of time,” he added.